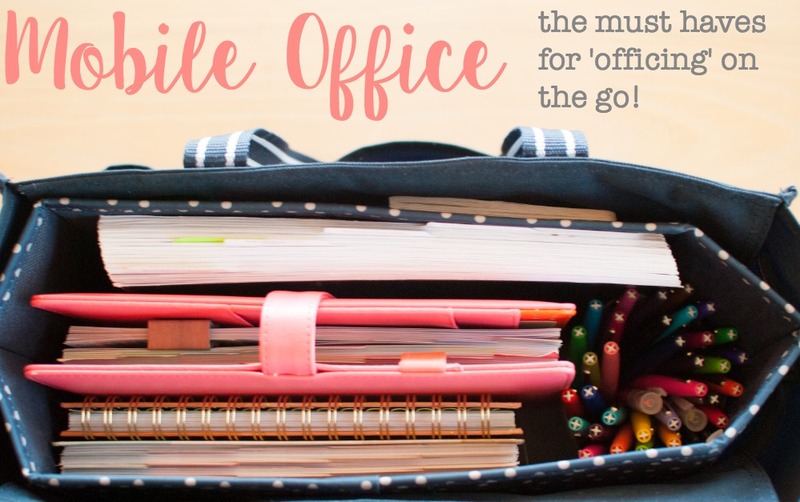 Curate a mobile office that packs all the essentials of a traditional desk life — in one bag! Like most people these days, I am constantly on the go — But, in a slightly different way. I’m a ‘nanny’ for three families and I bounce between them throughout the day/week. I needed something that was VERY mobile… and that wasn’t too terribly cumbersome. I need to be able to pack it all up at a moments notice — pull into a coffee shop and start working. During nap time, I need to set up office and work away. Curating a mobile office for myself has been one of the most efficient decisions! 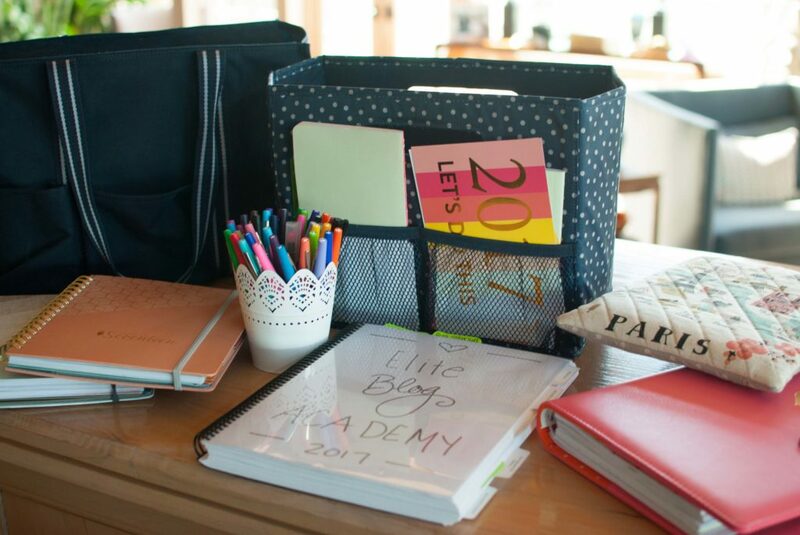 The Zip-Top Organizing Utility Tote from Thirty One is absolutely perfect. I have purchased many items from this company, and I’ve never been disappointed. This bag holds everything! I purchased the fold-n-file insert, and it has served me well! Everything from my two planners to a pen cup to my Powersheets and EBA are inside. Neat and tidy, tucked away. This has also cut down on my home desk paraphernalia. I don’t need all the extra fluff, since I take my “office” with me most places. When I’m ready to work at home, I just open my mobile office and pull what I need out. Returning once I am finished, so it all stays in place for the next on the go work jaunt. 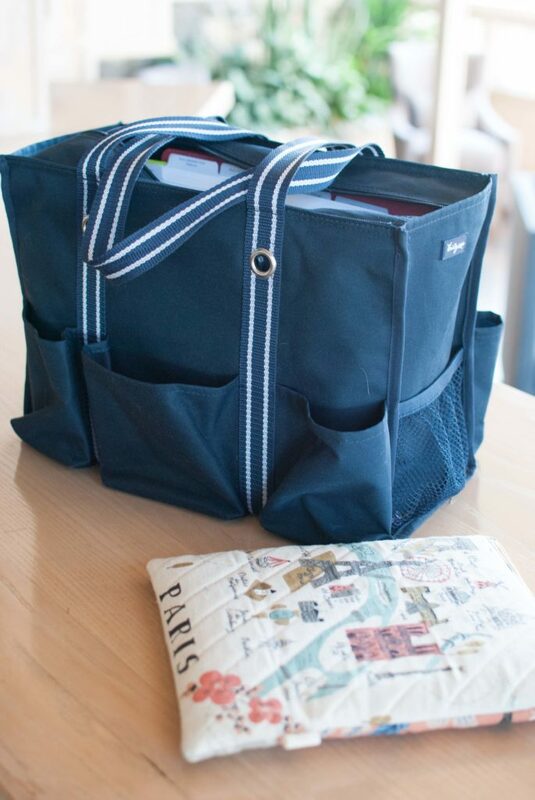 My two Inkwell Press planners fit great in here — they are always with me… Either in this bag, or in my purse when I know I just need to take one. 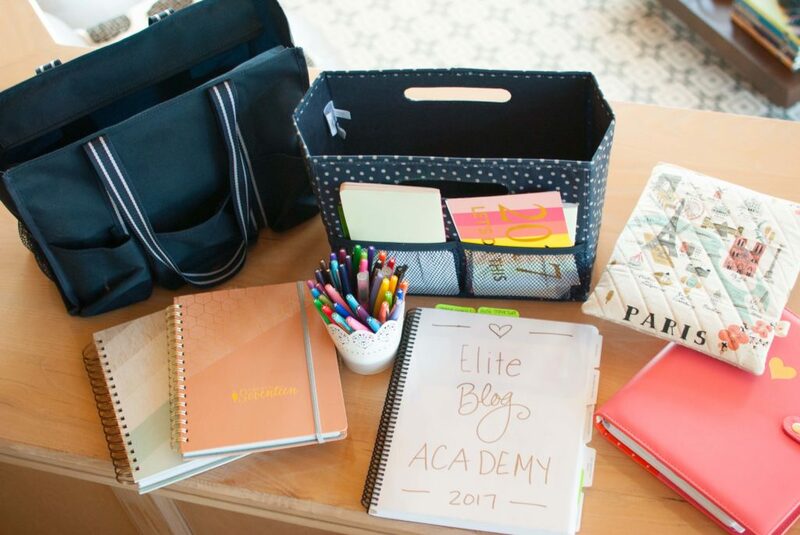 Catch up on my two planner,s how I use them and why Planners & Powersheets go so well together. My lace cup of pens is very fun! Filled with Papermate Flairs, Sharpie Highlighters, and a G2 Mechanical Pencil, I have everything I need to write! Visit my Amazon Influencer Store to stock up for yourself! 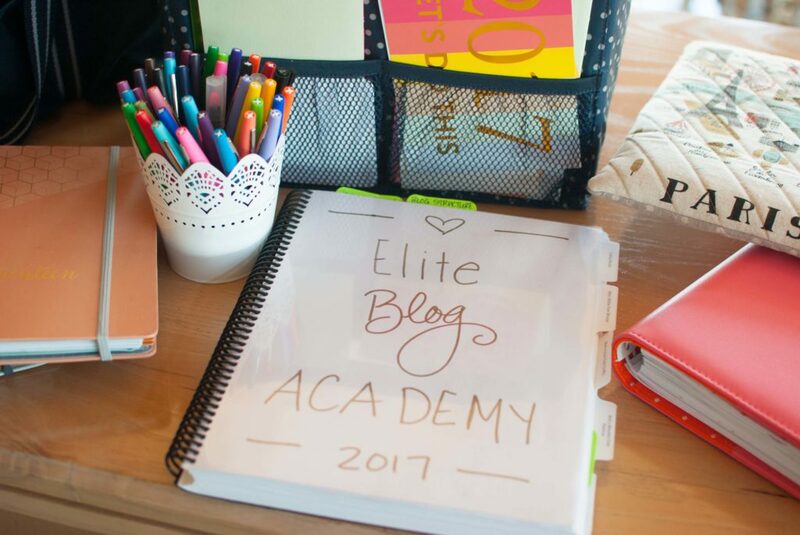 I’ve been working my way through Ruth Soukup’s Elite Blog Academy, and was it ever worth it!! Such great course, filled with AMAZING content. This isn’t one of those “watch my webinar and you’ll have $$$$$$ in your account tomorrow” kind of things — THIS IS WORK. Lots of work… but, good work! I’m not an affiliate for this course, but I highly recommend it. 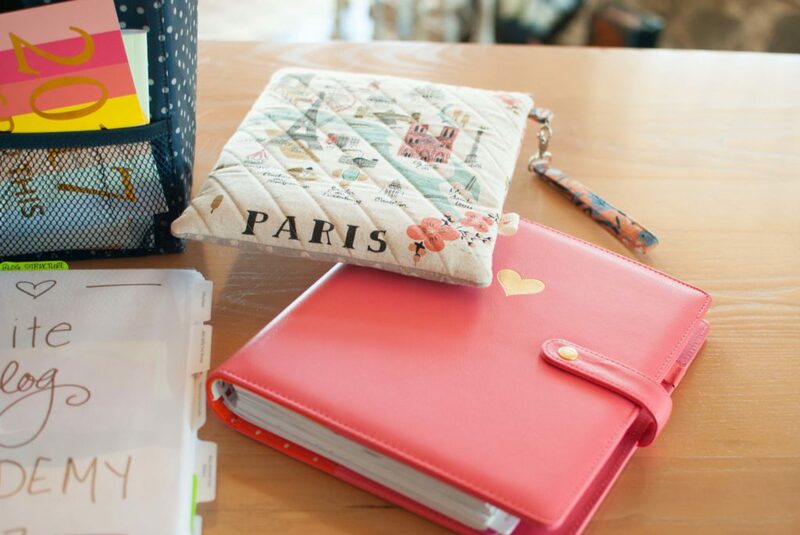 Here I have my Powersheets tucked inside a Happy Planner Cover and my WhipSnapSandy iPad case!! 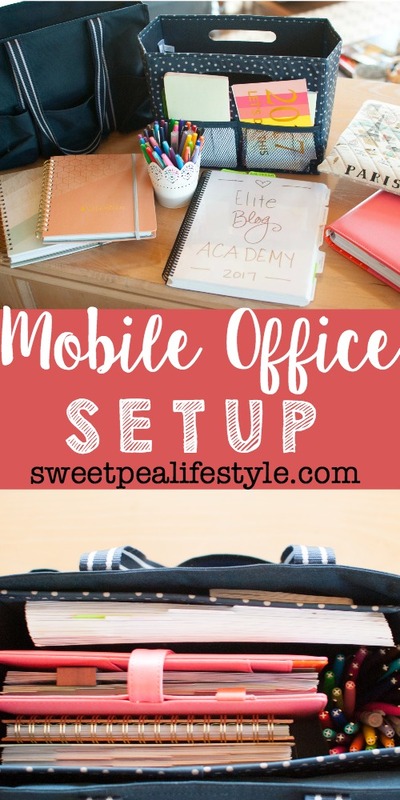 Do you have a mobile office — what are your essentials?? Any must have office products I’m missing?! Leave a comment below with your favorite products! It would be so great for that!! That cup goes with me EVERYWHERE!! Thanks, Emily! 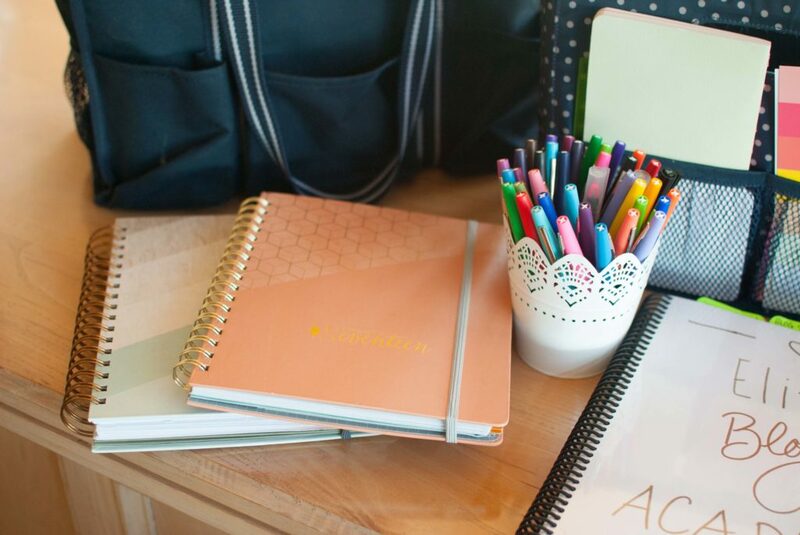 I love Thirty One products! Thanks for stopping over, Lorelai!